One cannot sojourn for long in the East without hearing strange stories, all of which are vouched for by the natives. Most would make one's blood run cold, but they are irresistibly fascinating. Filled with pathos but almost always showing that every cloud has its silver lining, these tales carry the reader into the mythical past that was India. 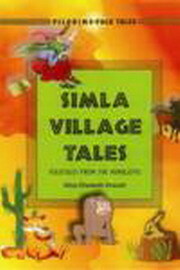 The majority of these tales have the raw transparency of folk art, whilst others are fashinoned with uncommon sophistication. Many of the stories have been passed down by word of mouth. Long before the radio and television ever existed, people spent hours around fires telling stories for entertainment.